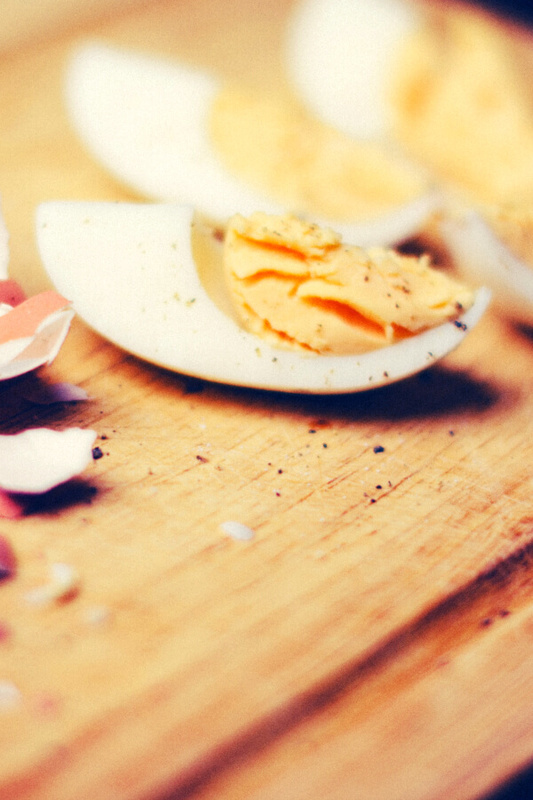 Wondering how to make perfect hard boiled eggs that are easy peel? 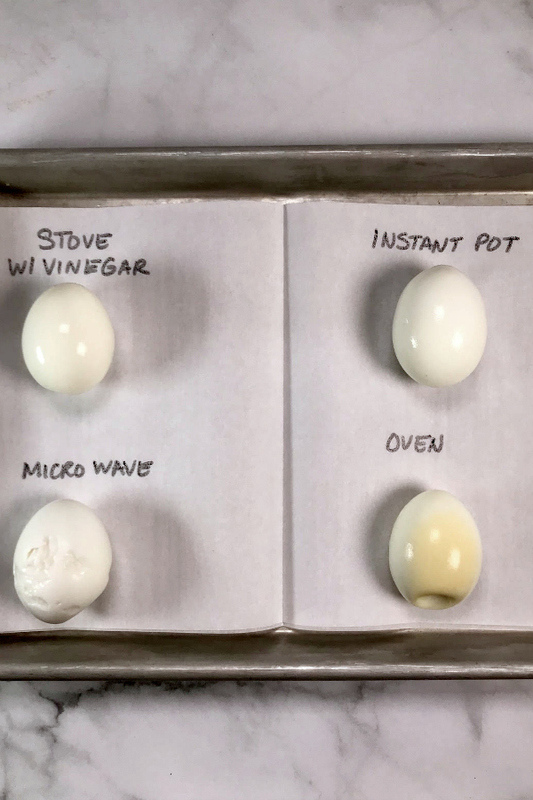 I have tested 4 popular methods including boiling on the stove, in the Instant Pot, baked in the oven and in the microwave to find the best way to cook hard boiled eggs that are easy to peel. The results may surprise you. I’m going to start this post with a confession. For most of my adult life, I could not make a hard boiled egg to save my life. Every single time I would call my mother to find out to make them. Every. Single. Time. Sad. I know. But hey, nobody’s perfect, right?! Recently, I decided that it was high time I learned how to make a proper hard cooked egg. I’ve seen so many methods online – boiling, microwave, oven and Instant Pot. Remove them immediately or let them sit in the hot water? Ice bath? No ice bath? Then you have the old egg vs new egg theories. There were just so many variables. But which is the best? That was the million dollar question. 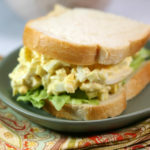 There were many times when I tried making hard boiled eggs only to have the egg whites shred when I tried to peel them. It’s one of the most frustrating things. 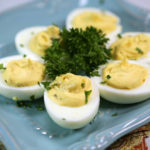 It’s not a big deal if you’re making something like my 5 Star Egg Salad recipe, but if you want to make my Classic Deviled Eggs, you need pretty, smooth egg whites. Not ones that look like they were hacked up. I decided it was time to test all of the methods for making perfect hard boiled eggs that were easy to peel. For my testing I tried the following methods – oven, microwave, stove top and Instant Pot. To keep the results in check, I used eggs that were all the same age. I also decided to cool all of the eggs immediately after cooking in an ice bath. To make the ice bath, I filled large bowl with cold water and ice. Fill pot with enough water to cover eggs. Do not add eggs yet. 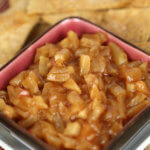 Add one teaspoon of white vinegar to the pot. to lower the eggs into the water. 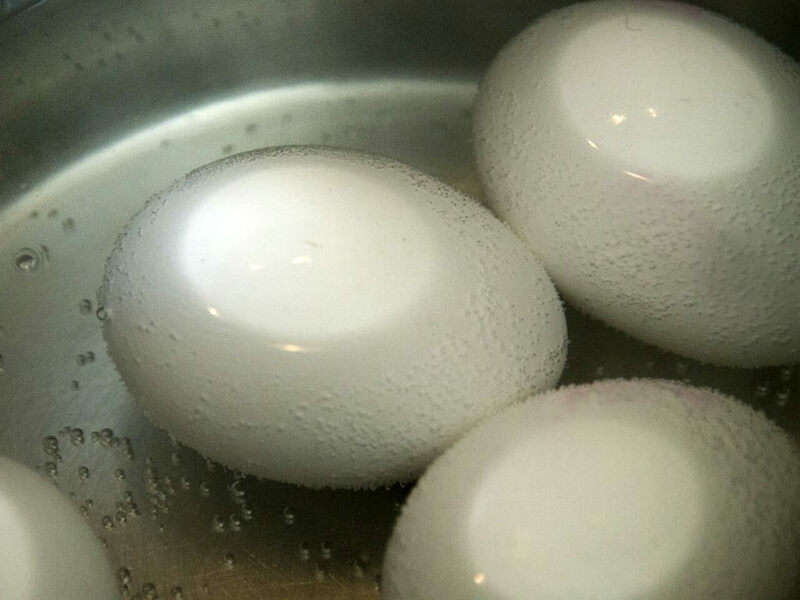 Remove eggs immediately and place in an ice bath for 5 minutes. Place egg into the foil “nest” being careful that the egg isn’t touching the sides of the muffin tin. Bake eggs for 30 minutes. Microwave the bowl of water on high for 3 minutes. to keep from getting burned. on top of the bowl to fully cover it. Cook on 50% power for 8 minutes. Use the manual setting to cook on high pressure for 5 minutes. The results of my quest to make the perfect hard boiled egg were a little surprising. Based on what I read, I figured the Instant Pot method would be the best way, but it wasn’t. It was a close second though. Easy to peel: The easiest! Note: Cooking the eggs in oven yielded a spotted egg shell and an off-color egg white. 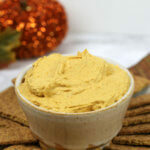 These would be fine if you were just going to eat them plain, but they wouldn’t be good for coloring Easter eggs or for making deviled eggs or egg salad. Easy to peel: Very easy. 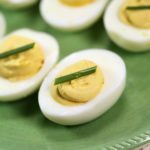 Looking for Recipes with Hard Boiled Eggs? Looking for more? 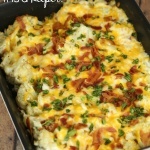 Check out all of the cooking tips on It Is a Keeper. I am so stoked about this! Just boiled and peeled a dozen eggs for a neighborhood get-together later. The host and hostess, as well as me, are all following a low-carb eating regimen. No one else is however. But everybody (almost!) 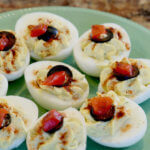 like deviled eggs! At my age, I’ll just say almost retirement age, I have NEVER been able to get the darn shell off while keeping the egg intact. I’ve been trying this and that method from the internet, but you should see these perfect eggs! I followed most of your instructions, except was afraid to try the bumper cars. 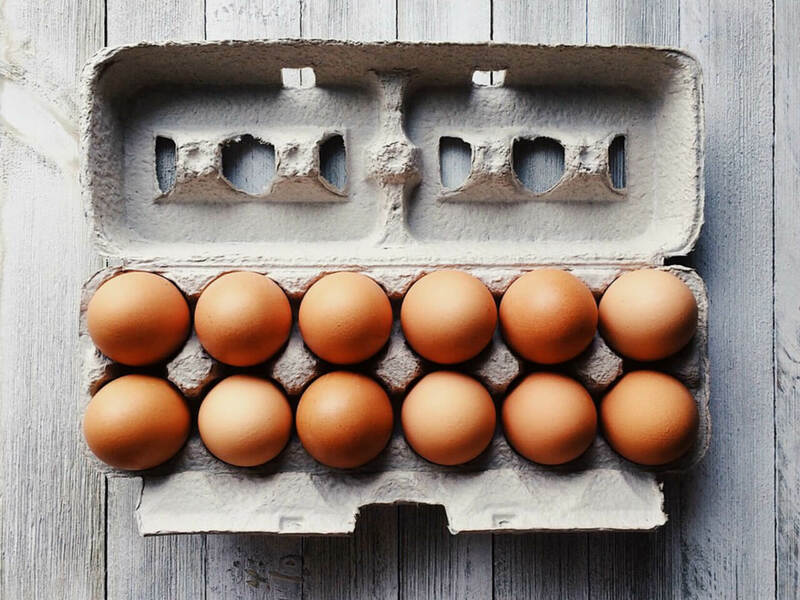 Here’s what I did: I just decided what to bring so I just bought the eggs – the sell-by date is 3 weeks in the future, so so much for the older egg idea. I brought the water to a rolling boil with a tsp of vinegar, and lowered the eggs into the water. Boiled them for 15 minutes and let them sit in the hot water another 10 minutes. Then I did the ice bath – pretty high ratio of ice to water and they were COLD. I left a few inches of water in the pan (a stock pot so the eggs would fit in a single layer). The first egg I picked up had a tiny ding in it so I just started peeling, thinking here we go, chunks of egg white are gonna come off with the shells. But nothing! I kept dipping the egg in the water as I peeled and they pretty much came off in one piece, like the top popped off, then a the middle peeled off in a ribbon, and then the bottom popped off too. As I said, all in one continuous piece. 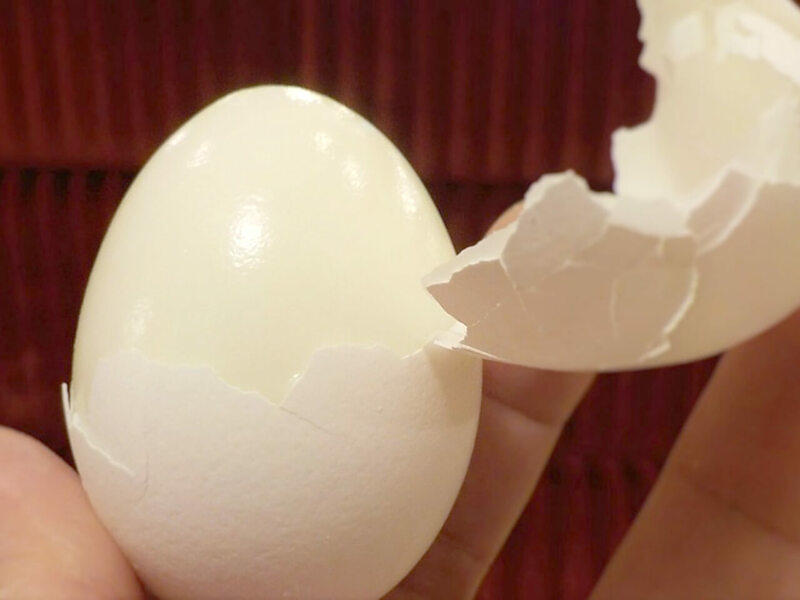 Another thing I think that helped is that once I cracked the first little crack in each egg, I held it in my fist and applied even, gentle pressure to the whole thing so that it had a network of little cracks all over it before I started peeling. Then I put it in the water and got ahold of the membrane with the shell and they literally slipped off. SCORE! I know, it’s the little things, right? 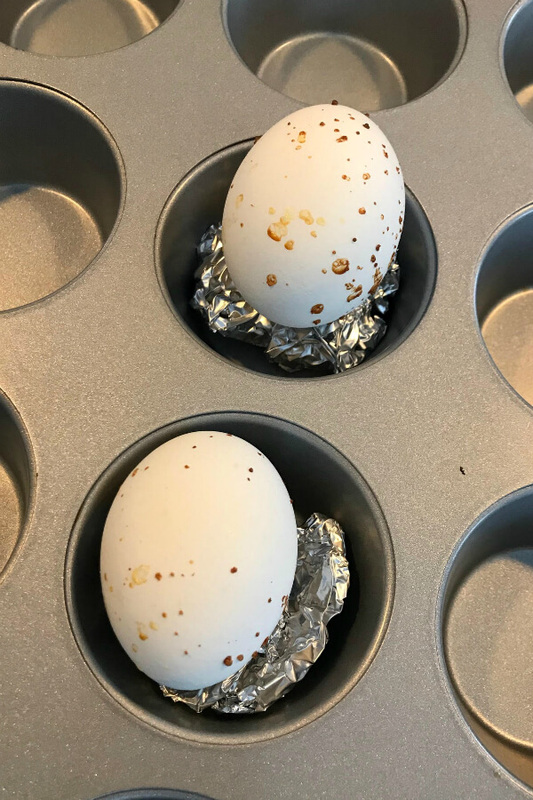 The best way to make hard boiled eggs that I have found and do on a regular basis is to put eggs into pan with cold to warm water add some salt and a bit of baking soda. Or just baking soda, they are so easy to peel. dump out the warm water and add cold water to cool them down. 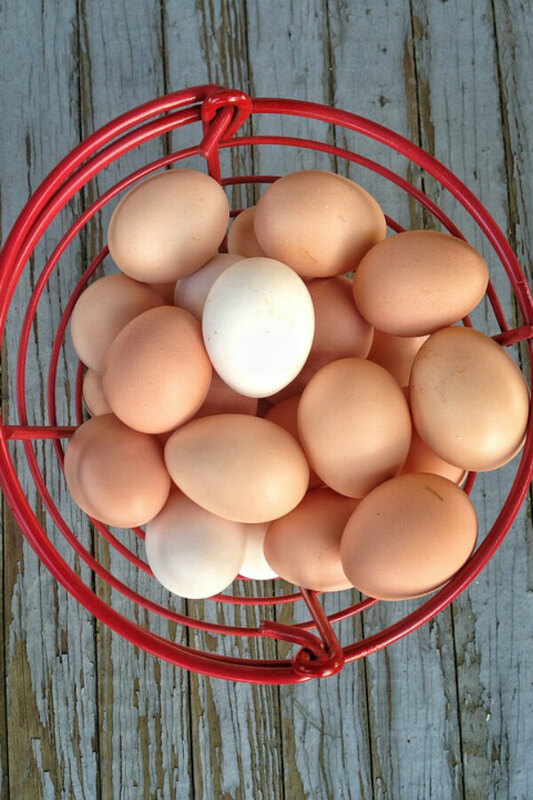 The way I was taught was to boil the eggs for 20 minutes, remove from heat and cover with cold water to cool down. Either way works great, don’t forget to add baking soda, it works wonders.